The Cordoba C10 Parlor is ideal for the player looking for the feel, comfort, and ease of playability that a smaller instrument provides, while retaining the sweet, warm tone created by all-solid wood construction. Built with a solid European spruce top with solid Indian rosewood back and sides, the C10 Parlor features a 7/8 body size, 50mm nut width, and the fan bracing pattern found on most Cordoba guitars. This bracing pattern gives the center of the soundboard more surface area to vibrate and respond to the tension of the strings. A more responsive soundboard makes the guitar louder, and provides better tone. Like every guitar in the Luthier Series, the C10 Parlor is built with Spanish heel construction, where the top of the guitar is attached to the neck, the sides are added next, and the guitar' body is sealed by the installation of the back. This construction technique allows the entire instrument to vibrate as one unified piece. 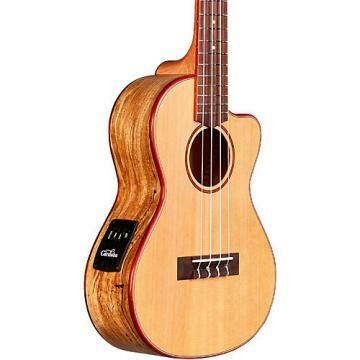 The C10 Parlor includes Cordoba's lightweight polyfoam case. Enjoy traditional construction in a more compact size. Order today.